In addition to the rods listed, we can make to order virtually anything that you might require. Call us and talk through your needs. We promise to do our very best to accommodate you. 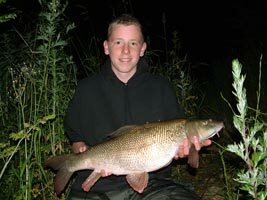 Peregrine make a range of high quality fishing rods aimed at the specialist barbel angler. 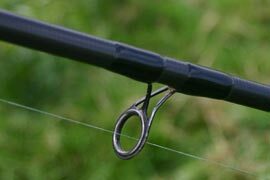 We'd like to think our range of proven and tested Barbel rods is second to none, but the demands of the modern single species specialist, often means that an off the shelf rod is simply not enough. Therefore, custom rods are very much required. This is where we come in, whilst we carry a small number of rods in stock (listed below) we can make virtually anything, and on any blank you may prefer, so please discuss your requirements with us. 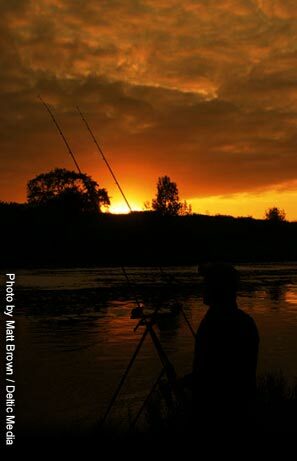 using a Peregrine GTi Barbel Rod. 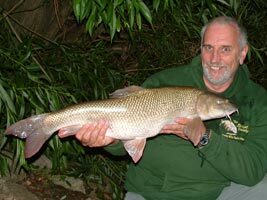 caught using a Peregrine Barbel Rod.